Ever since I was a kid I've been in a relationship with the cult sci-fi comic 2000AD. Sure, we've had our difficulties – periods where we have grown apart or fallen out – but somehow we've always ended up back together again. It's impossible to quantify exactly how much impact characters like Judge Dredd, Rogue Trooper, and Zenith have had upon my life, especially creatively. 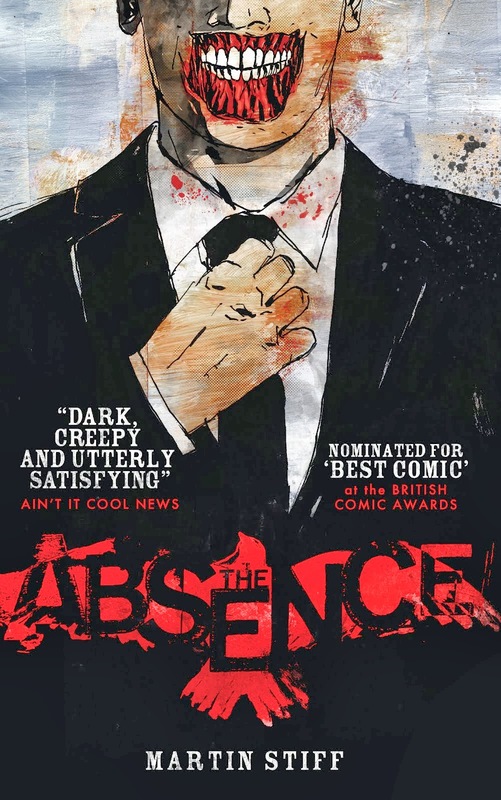 With it's weird British sensibilities and lashing of ultra-violence, it offered an insight into the world of comic creating that would have an enormous effect of me growing up. All I ever wanted to do as a kid was write or draw for my favourite comic and it was a passion which ultimately saw me creating my own stories. I think you can see it in The Absence. The strange, slightly off-beat humour, a little experimental, bonkers sci-fi ideas, thick black line-work… so much of everything I write and draw today is influenced by a lifetime of reading 2000AD. And now, at (almost, ahem) 40 I'd still bloody love to write or draw for it. But until that day should happen, I've done the next best thing and written and drawn a short story in the new issue of the 2000AD fanzine Zarjaz. 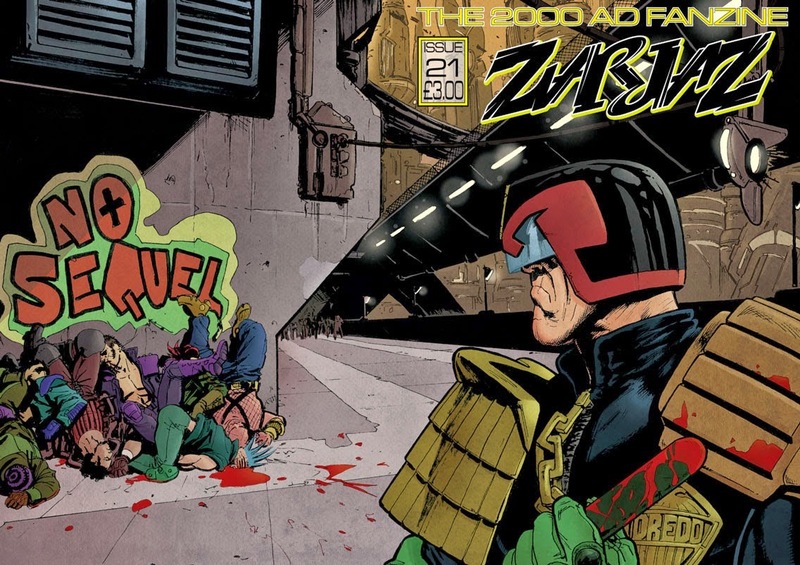 Like it's parent comic, Zarjaz is an anthology comic and my story is about the Brit-Cit Detective-Judge Armitage, (imagine Judge Dredd crossed with Inspector Morse). I'm proud to be featured in a comic with so many other ace creators and it's a great opportunity to play in the 2000AD world. You can buy a copy of Zarjaz #21 here. Let me know what you think of it. Hi Martin, just found your blog. Hey, I have an untold Dredd story, which I WISH someone would draw! Would you be interested in reading it and perhaps posting the synopsis on your blog? I just want others to read it!